I'm beginning to understand the reasons why we're hearing so little detail about the adverse effects of Mrs May's Brexit plans. These manifest at multiple levels but mostly boil down to ignorance compounded by uncertainty. Ignorance is certainly a theme we've been pushing but at least some of that arises because so many people are not clear about Mrs May's intentions and are reluctant to speculate until they have more information. That does not apply to everyone, by any means. A number of those on the Tory Right have convinced themselves that the likes of China and the United States trade with the EU under WTO rules, on which basis the UK supposedly adopting the same regime holds no fears for them. Many of these same people believe that because we have regulatory convergence in the regulatory interface with the EU, we can continue trading without concern for non-tariff barriers, as if differing standards were the only such barriers we will encounter. Yet, time and time again, as I research the issues arising from Brexit, I meet the same or very similar structures erected by the EU to regulate imports into Member State territories. One of the areas I've been looking at most recently is timber and related products regulation, a sector covered by a generous layer of EU legislation. 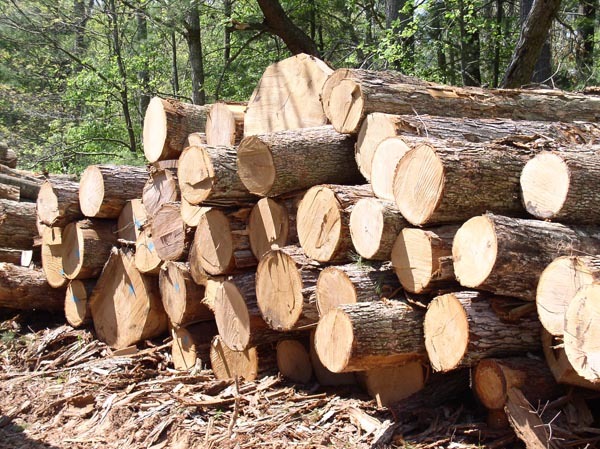 Within the EU, the EEA and Switzerland, timber is freely tradable (unless it is included within a restricted list) but certain requirements are placed on specific species as a result of plant health concerns. These include Ash, Oak, Pine and Sweet Chestnut, all of which require a Plant Passport before being moved from one EU Member State. As regards import of timber from third countries, Regulation (EU) No 995/2010, "laying down the obligations of operators who place timber and timber products on the market", requires notification to the relevant authority of the "first import of each consignment" (i.e. not subsequent movements within the UK) and inspections may take place. The UK cannot place restrictions on the import of plant material from other EU countries without the approval of the EU. The Regulation is translated into UK law as the The Plant Health (Forestry) Order 2005, making the Forestry Commission the "relevant authority", responsible for enforcement. For third country imports, the process starts with Council Directive 2000/29/EC and the requirement that representatives of the official national plant protection organisation of the originating country issue in respect of each consignment "phytosanitary certificates", under the conditions set by the International Plant Protection Convention (IPPC). The importer (who need not be the eventual owner) then has to have registered as a trader with the Forestry Commission. Registered traders must meet certain requirements with regard to controlling the movement of consignments and keeping records. Their premises must be inspected to ascertain if they meet the standards required by the Regulation. Three days prior to landing the material, the importer must send an inspector request form to the Forestry Commission and, on arrival, the consignment must be checked by an official inspector. Fees of up to £98 per consignment are charged for this service. To ensure that the timber is not sourced from illegal logging, importers are required to carry out "due diligence", to which effect they may rely on information from officially approved "monitoring organisations", the duties and procedures set out in Commission Implementing Regulation (EU) No 607/2012. Once the UK leaves the EU, it will be up to the Government to decide whether to relax these requirement but, if it did, then any exports (or re-exports) to EU Member States will then be treated as a "first import" and subject to the full Union procedures. This would significantly disadvantage UK traders. In order to ensure maximum flexibility and to reduce barriers, industry analysts expect the trade to continue meeting EU requirements. Furthermore, it is said, an industry as global as the timber trade would not want multiple standards and regulations as these would become a source of significant cost. For the EU to award equivalence to the UK however, would be a considerable concession. Neither the Ukraine DCFTA nor the EU-Korea Agreement extend to phytosanitary measures. The UK would have to place this issue on the agenda during the Article 50/FTA talks and expect some hard bargaining. Quite what that would involve is, at this stage, simply not known. This, to an extent, accounts for the muted response from timber sector trade bodies and NGOs, which seem to be holding their fire. But here's the rub. It is quite clear from this brief review of the timber sector that there will be significant issues for discussion in the coming talks. Yesterday, I was writing about motor manufacturing, where there will also be significant issues for discussion and agreement. If one adds the Northern Ireland border question and customs issues in general, this is another (and major) issue to negotiate. But we've looked at the digital single market, the horse racing industry, chemicals and REACH, pharmaceuticals, aviation, fishing and fresh meat. All of these are going to need time and time and resource devoted to resolving the complex issues arising from them. Yet the Tory Right still labour under the illusion that regulatory convergence gives us a head start, when it's actually only the starter for ten. Conformity only gets you into the game. As with meat, we then see the familiar four-layer structure: country approval; establishment approval; consignment certification and then point of entry inspection. There may be differences, but they're only variations on a theme. Looking for the possibility of short-cuts took me to the Ukraine DCFTA where one sees what appears to be a major concession (p.1633). In the case of meat, and other food products, instead of requiring each exporting establishment to be approved individually, the EU was prepared to give provisional approval without prior inspection. This could be seen as a way out for the UK. All of its establishments are currently approved under EU rules but, since there is no provision for carrying over those approvals to a newly-minted "third country", these would lapse on Brexit. However, they could, in effect, be reactivated by being given provisional approval. Unfortunately, though, there is a down side. The Agreement (p.1642) then makes provision for an enhanced rate of inspection of consignments from these establishments, with a further provision for removing establishment approval if consignments do not meet standards. What the EU gives with one hand, it takes with another. This is yet another matter for the negotiating table and, by the time these issues have stacked up, we can see why free trade agreements take so long to conclude. The Ukraine Agreement, at 2,135 pages, stems directly from the Partnership and Co-operation Agreement (PCA) which entered into force in 1998, which then led to further negotiations in 2008 before the DCFTA was ready to sign in 2014 - triggering a war with Russia on the way. As it is shaping up, Mrs May's free trade agreement ambitions are lining us up for twenty years of negotiation, all to be squeezed into two years. She is taking us on a journey into the unknown. Unsurprisingly, people are holding their breath, waiting for clues as to the destination.